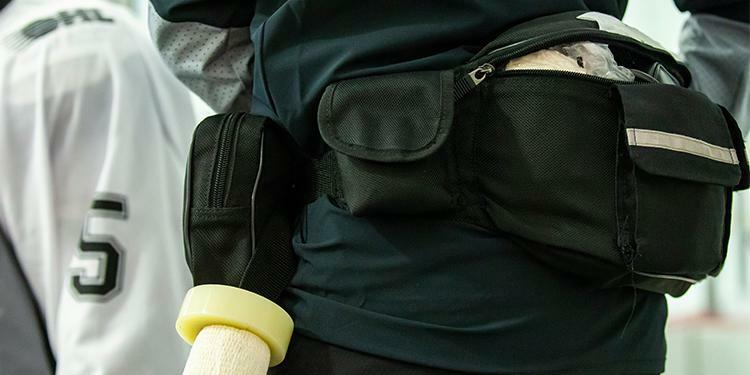 A trusted sidekick to any Trainer on the bench, the Trainers Kit is an extremely valuable piece to help ensure that all players can be taken care of safely if any injury occurs during a game. A standard first aid kit should include most of what you’ll need however some extra items are always handy to add to your Kit. Everyone on the bench is encouraged to have First Aid certification. Trainers and bench staff should always bring the Trainers Kit to the bench with them as it should be readily accessible at a moment’s notice. It is the responsibility of the Trainer to regularly take inventory and restock items when necessary. Always have your trainers kit fully stocked assuming you’ll have more than one injury per game. The non-latex gloves must be worn at all times when tending to a player no matter the injury. Gloves help prevent the spread of germs through contact especially when dealing with cuts and other open wounds. These are a one-time use item and should be properly disposed of after tending to the injury. Use some hand sanitizer after removing the gloves to further prevent the spread of germs. Bandages should be applied to any open cuts to prevent further bacteria from entering the wound. They can also help cover blisters that may form during a game from skin rubbing against equipment. Bandages serve as a barrier and can protect the cuts from re-opening. All cuts should be properly cleaned and covered before a player re-enters the game. Gauze pads can be used when applying pressure to stop bleeding and will also absorb other fluids. Have a variety of different sized bandages that can be used depending on the size of the cut or location of it. Trainers can get ice from the arena’s snack booth or snow from the ‘Zamboni’ room (with help from the rink staff) and put it in a ziploc bag to use as a cooling pack. Locate the snack booth before the game and introduce yourself to the rink staff so you know where to go and who to contact in case they are needed. The bags can be used to hold ice for injuries and to dispose of any bandages and gloves that contain bodily fluids. 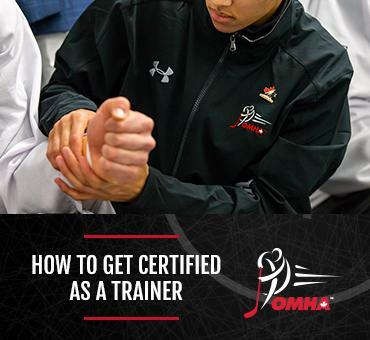 Being a Trainer means you’ll have to become familiar with tools and hockey equipment. In addition to the basic items, a trainer could consider carrying some of these items for quick fixes that can save players valuable time and get them back in the game faster: various sized skate laces, white and black stick tape, shin pad tape, helmet screws, bolts, buckles and clips, a hand held skate sharpener and a small multi-head screw driver (one that easily fits into pocket or trainers kit).